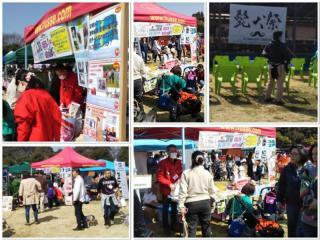 On Sunday 4th of March Husse was taking part in Schnauzer festival in Ibaraki Prefecture in Japan. 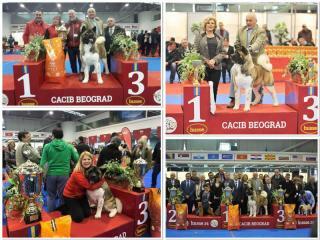 On Sunday 4th of March Husse attended International Dog Show 62.CACIB in Belgrade, Serbia. Event gathered more than 1000 dogs and their owners. The Best In Show title went to American Akita, Chui is our customer and eats Husse since his first weeks! In January Husse attended many events in France. 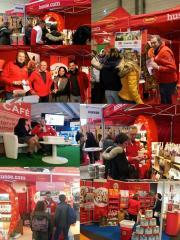 On 12th of January Husse was present at Expozoo. This trade show is an event for professionals in the pet market. There were more than 100 exhibitors to welcome the 2,000 professionals and the 35,000 visitors. Then on 13th and 14th of January Husse took part in Paris Animal Show and from 17th till 21st of January Salon Cheval Passion, in Avignon. From 18th till 21st of January, Jumping International de Nantes and from 1st till 4th of February, Jumping international de Bordeaux.